“Israel’s Influence” is co-sponsored by the American Educational Trust, publisher of the Washington Report on Middle East Affairs, and the Institute for Research: Middle Eastern Policy (IRmep). Attendees receive lunch and an invitation to a special attendee-speaker reception. 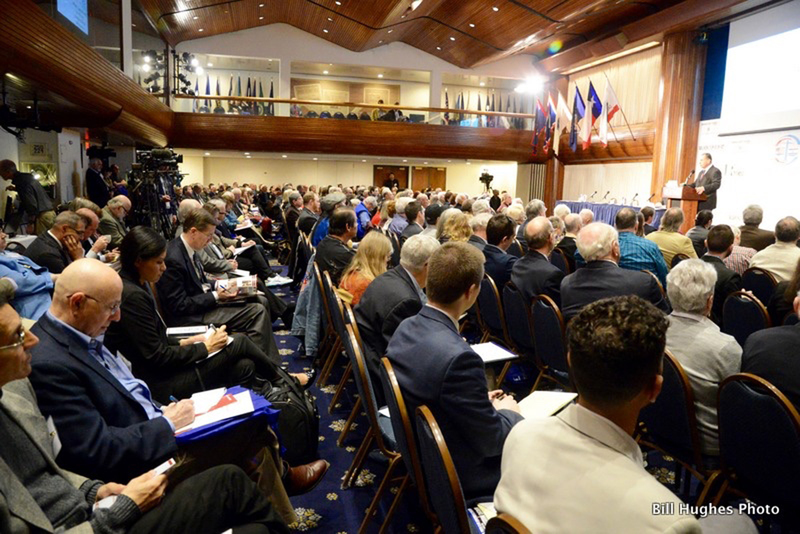 Expert panelists and keynote speakers will analyze the enormous impact Israel’s influence has on Congress, establishment media, academia and other major institutions. They will explore the costs and benefits in terms of foreign aid and covert intelligence, foreign policy, America’s regional and global standing, and unbiased news reporting. American taxpayers provide Israel with more than $3.1 billion annually in military aid. Since 1948 Israel has received far more than any other country, despite polls showing that most Americans oppose such aid. Israel and its U.S. supporters are now lobbying for a $1 billion increase—to $4.5 billion yearly—as “compensation” for the recently concluded nuclear deal with Iran, despite Israel and its lobby’s overt attempts to prevent it. What Israeli assumptions about America drive this? The lobby in charge of moving America is vast and powerful. It will raise and spend another estimated $4.1 billion in 2016 charitable contributions to indirectly subsidize Israeli institutions such as the Israel Defense Forces (IDF), finance U.S. Israel advocacy, lobby local, state and federal officials, and support Israel-centric “education” programs. Some of this “education” supports pro-Israel programs in schools, colleges and universities. It also covers training federal and local law enforcement officials to focus on American Muslim and Arab communities as potential terrorist and “violent extremist” threats. History reveals that Israel and its lobby are most influential when they can point to—or, in the case of the Iran nuclear threat, manufacture—an existential crisis that allegedly threatens Israel or the U.S. What could the U.S. do differently without the constant influence of Israel and its advocacy campaigns? What actions can Americans take, especially leading up to the ballot box? In 2012, delegates to the Democratic National Convention opposed by voice vote a plank naming Jerusalem the “undivided capital of Israel”—though party bosses eventually passed the measure. Key constituents who are younger, more ethnically diverse, and focused on justice reject the party’s traditionally unconditional support for Israel. On the Republican side, Israeli Prime Minister Netanyahu enjoys higher approval ratings than the American president. In polls, many Republicans would side with Israel even if it meant siding against their own country. Yet some powerful conservative forces are rallying against elite US foreign policy consensus. They reject the neoconservative principle of "primacy" and unquestioned alliances which are "all cost and no benefit." What do these seismic shifts portend for Israel? “Israel’s Influence: Good or Bad for America?” (See the YouTube informational conference video at https://youtu.be/LJBianooq0A) will take place two days before the American Israel Public Affairs Committee (AIPAC), the lobbying umbrella for Israel, holds its annual policy conference in the nation’s capital. According to Steve Rosen, AIPAC’s former director of foreign policy, “AIPAC spent 10 years” trying to torpedo any nuclear agreement with Iran. What will be the lobby’s next target during the coming decade and how will that affect Americans? All attendees will receive a box lunch with beverage and coffee/tea/water during breaks. Attendees are invited to stay and attend a post-conference networking reception from 5pm until 7pm. All ticketholders will receive one complimentary reception beverage ticket and may purchase additional beverages at the professionally-staffed bar located between the Holeman Lounge and Ballroom. The National Press Club building is located at 529 14th St. NW, Washington DC, 20045. The Ballroom is located on the 13th floor. Elevator banks are located at the 14th St. entry. Nearby Metro stops within three to four blocks include Metro Center (Blue, Orange, Silver and Red lines), McPherson Square (Blue, Orange and Silver lines) and Federal Triangle (Blue, Orange and Silver lines).